WASHINGTON, Sept. 2, 2014 - Manned and unmanned aircraft operated by U.S. special operations forces participated in an airstrike yesterday in Somalia that destroyed an al-Shabab encampment and a vehicle located at that camp, Pentagon Press Secretary Navy Rear Adm. John Kirby (seen in the above DoD photo) said today. Kirby said the operation was a direct strike against the al-Shabab network, and specifically, the group's leader, Ahmed Abdi al-Muhammad, also known Ahmed Godane. The operation was carried out after actionable intelligence was obtained that suggested that Godane was present at the camp, located south of the Somali capital of Mogadishu, the press secretary said. It's too early to know whether Godane was killed as a result of the airstrikes, Kirby said, adding that if he were, it would be a "very significant blow to their network, to their organization and, we believe, to their ability to continue to conduct terrorist attacks." The aircraft fired several Hellfire missiles and laser-guided munitions, he said, noting that the Defense Department is still assessing the results of the operation. "We certainly believe that we hit what we were aiming at," the press secretary said. "And based on intelligence that, as I said, we believe was actionable -- in other words, strong enough -- we took this strike." No U.S. forces were present on the ground, either before or after the attack, he noted. Al-Shabab is a jihadist group based in Somalia. It has claimed responsibility for last year's attack on the Westgate Mall in Nairobi, Kenya, which resulted in more than 70 deaths and 200 injured. The group is also believed to be responsible for many bombings, including suicide attacks in Mogadishu and in central and northern Somalia, the admiral said. These attacks typically target officials and perceived allies of the current federal government of Somalia and the former transitional federal government of Somalia, Kirby said. Al-Shabab has occupied most of southern Somalia since 2006, he said. It has claimed responsibility for the deaths of numerous government officials, aid workers, peace activists and journalists and was named as a foreign terrorist organization by the State Department in 2008. "They've also continued to plan plots targeting Westerners, including U.S. personnel in East Africa," the press secretary said. "In recent months, al-Shabab claimed responsibility for a suicide bombing in Djibouti that killed a Turkish national and wounded several Western soldiers, as well as a car bomb at the Mogadishu Airport that targeted and killed members of the United Nations convoy." 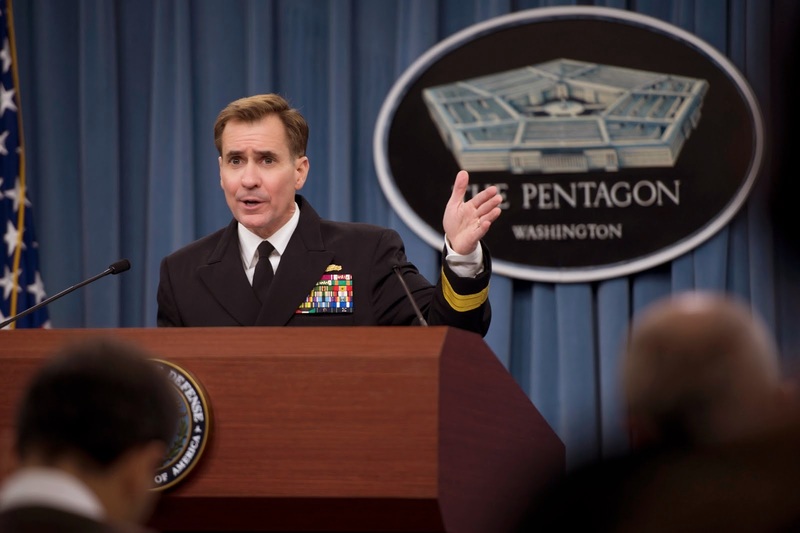 The operation is an example of the commitment of the U.S. government and its allies and partners to the people and government of Somalia "to detect, deter, disrupt and defeat violent extremists who threaten progress in the region, as well as threaten to conduct terrorist attacks against innocent people around the world," Kirby said. The United States will continue to use all of the tools at its disposal, he said -- including finance, diplomacy, intelligence and military force -- to dismantle al-Shabab and other terrorist groups that threaten U.S. interests and those of U.S. allies and partners.